For 20 years, Pepperd.com has become one of the top locations on the internet to get information you need to save money. For $29.95 a year (that's about $2.50 a month) you can access a wealth of knowledge on Military Space-a Travel. Check out our 30 day trial membership program! If you are tired of calling all over the place or Facebook searching for a flight? Almost all schedules for AMC bases can be found on our site. 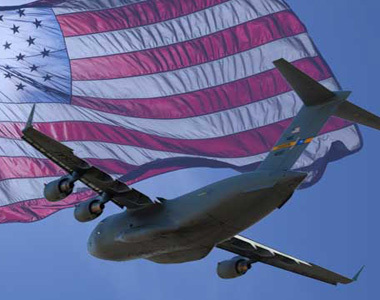 Military lodging can help you save even more money. Through our network partner spacea.net, you can get numbers for DOD lodging worldwide. Why try to figure it out on your own? You can pick up a number of tips from fellow travelers that have been to the places you want to go! Even for a family of two, commercial air travel can run close to a thousand dollars or more. Sure space-a is no guarantee, but if you plan ahead and have a backup plan you can save a fortune and have money left over to enjoy your trip!. This site is not run or endorsed by the United States Department of Defense or Air Mobiity Command. When in doubt on any official information regarding space-a travel, contact your local AMC terminal. Click here for detailed instructions on how to access the new site. You can easily save hundreds if not thousands of dollars each year on travel by using our site. For solutions to problems accessing the site such as malware viruses and AOL, click here for more information. Contact us to add your Base Shuttle here!